A Mechanical Engineer by training who graduated from the Nanyang Technological University. With over 15 years of experience working in Start-Ups, SMEs and MNCs, he has driven sales revenue and leads across the Asia Pacific region. Shei Wah was one of the SEO Speakers at the first Search Engine Strategies Conference 2011 held in Singapore. 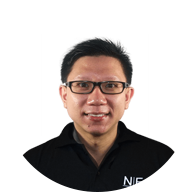 As Managing Director, he aims to establish NEO360 in all of the world’s major cities. Even as he works toward this goal, Shei Wah also dreams of his children’s future happiness, and unwinds by doing calisthenics with his former school buddies three times a week. Hendry has a Master of Science degree in Computer Science from the National University of Singapore. 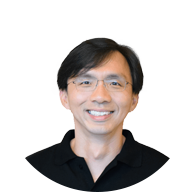 He has managed several country-wide projects for government agencies as an IDA Singapore consultant. He has also held a senior position at the School of IT of Republic Polytechnic, and delivered technology solutions for start-ups, SMEs and MNCs. Hendry hopes to make a positive impact on society someday, and as NEO360’s Director for Strategy, he sees NEO360 as a valuable partner to clients in engaging their own customers in a meaningful way. In the meantime, he is content to stand astride the worlds of business and art, spending his off-hours playing the cello. 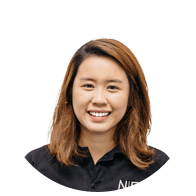 Communications specialist and storyteller, Michelle has a business degree from the University of Newcastle in Australia. She has worked locally and in Sydney for luxury brands Roger Dubuis, Banyan Tree Hotels and Resorts; FMCG brands Courts, Guinness®, and IKEA; and corporates such as Club Penguin Australia (Walt Disney) and The Public Trustee New South Wales. 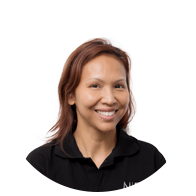 Having been involved in strategic counselling and events management, Michelle has also worked with non-profit organisations like the Breast Cancer Foundation in Singapore and The Fred Hollows Foundation in Sydney. Apart from her passion for PR and communications, Michelle devotes her time to teaching her two children about life, love and the simple things that really matter. Vincent earned his Bachelor’s Degree in Information Technology with Distinction from the Queensland University of Technology in Australia. He has over 10 years of IT consulting experience at Accenture, working with the healthcare, government, shipping and aviation industries. As Director of Operations, he focuses on enhancing productivity and efficiency through automation, for a happy staff and happier clients. He also aspires to help change the lives of more orphans through education. In his leisure time, he likes to run and explore new places, read books every day, and watch action and horror films. 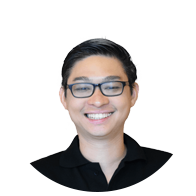 Michael has more than 10 years of web development experience, innovating numerous online solutions for accounting, SMS broadcasting, e-newsletters, e-cards, e-commerce and Flash active forms. He has also developed telemarketing tools, user-friendly CMS and CRM as well as resume management systems. The high-profile clients who have benefited from his experience and expertise include SBST, Golden Village, Fujifilm, DBS, NTU, NUS, NTUC, MUIS, the Malay Heritage Centre, T-systems and Hong Kong Café. Michael’s work has received customer recognition as well as several awards. Jill has a Bachelor’s degree in Communication Arts, major in Advertising from the University of Asia and the Pacific, and a Bachelor’s degree in Fine Arts major in Painting from the University of the Philippines. She has been a copywriter for the two of the country’s top local advertising agencies and for one of Europe’s biggest ad agencies. She has also written for leading FM radio stations, major dailies including Hong Kong’s South China Morning Post, lifestyle magazines and major video production companies. 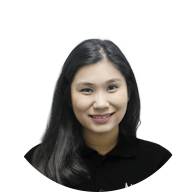 On the client side, she has worked in corporate communications and digital marketing for one of the Philippines’ largest universal banks and education-related companies, and a New York-based education company. Jill now works in NEO360’s Owned and Shared media divisions during the day, and draws and paints for exhibitions and children’s illustration at night. 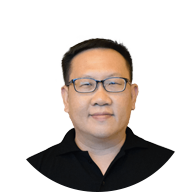 Wai Teng has six years of regional experience in Asia managing brands such as Garuda Indonesia, CPF, SAFRA, Pioneer, Club Med, AsiaSoft, Golden Village, NTUC Income, Qingjian Realty, Amore Pacific Singapore and Beiersdorf Singapore. She was also Digital Media Lead for nine regional subsidiaries in Samsung, providing consultation and strategy for Digital Media Planning and Optimisation to drive performance efficiency in Search Engine Marketing, Programmatic Display, Online Video and Social Media in both Planning and Buying. 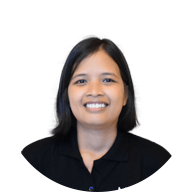 Rhea has a Bachelor of Science degree in Economics from the University of Southeastern Philippines, and is currently completing her Master’s degree in Econometrics. She is an introverted planner and thinker who enjoys working with numbers. 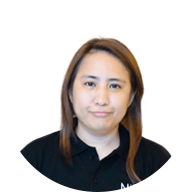 Rhea is Google AdWords-certified and has contributed to the growth of NEO360 on many levels since 2010. Wearing her Christian heart proudly on her sleeve, Rhea is a voracious reader who devours theological books and the Bible in her spare time, and hopes to become a missionary someday. This college volleyball and basketball player is a fan of the NBA and Jeremy Lin. Adda found her calling in public relations and communications when she entered the industry 8 years ago. 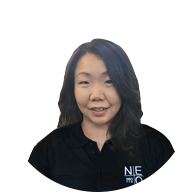 After graduating from Lincoln University with a Diploma in Sports & Leisure Management, and the Singapore Institute of Management with a Diploma in Management Studies, she has built up an impressive portfolio of work for local and multi-national clients. Adda has helped clients such as Starbucks, the BreadTalk Group, Maybelline, Cadbury, Swatch, adidas Bodycare, LeVeL33, Erwin’s Gastrobar and Peugeot to identify media opportunities and develop PR and marketing strategies. Her other passion has also helped her pursue a certification as a MOE-recognised Netball coach who trains young students to become disciplined, strong and independent.